As a rather short and petite woman, Deuter packs just fit me better than any other brand. The Rise Pro backcountry snow pack is my third Deuter bag and I’ve been thrilled with the durability and comfort of all my Deuter backpacks. The spacious, easy-to-access front pocket with shovel and probe compartments was the major selling point for the Rise Pro. I feel that fast and easy access to your safety gear is the most important feature of a backcountry touring pack; I wouldn’t want my touring partner to have to dig around the bottom of their pack to find their gear in an emergency situation. Also, the pocket is roomy enough that it zips and unzips easily even with a larger shovel. The next best thing about the pack is the zippered back panel for easy access to the entire contents of the main compartment. 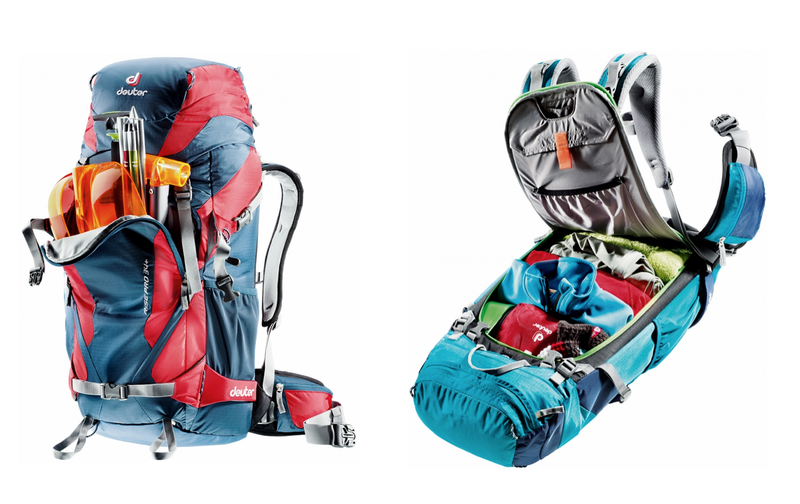 The U-shaped zipper splays open the pack just like a suitcase, which is great both for packing and retrieving items without getting the straps wet in the snow. 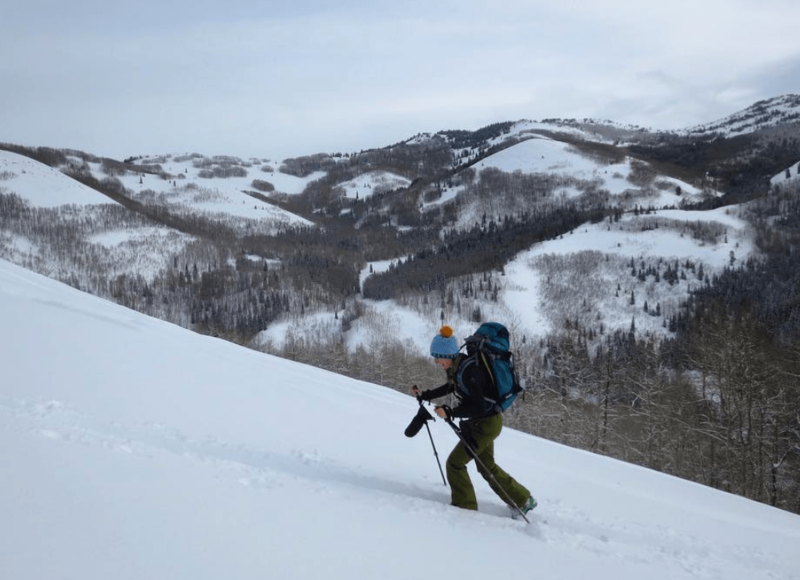 As for fit, this women’s specifically designed backcountry ski pack does a nice job of distributing the pack’s weight to the hips taking pressure over your shoulders and chest. Plus the pivoting belt design provides a more natural feel when skiing or climbing, it feels like it twists and turns with you. The back panel is nicely padded and the hipbelt, shoulder straps, and chest strap are easy to adjust on the fly. The Deuter Rise Pro has plenty of pockets for keeping your goods organized on a quick tour or all day adventure. A hipbelt pocket provides easy access to an energy bar or trail mix and sunscreen and side pockets (one zippered and one stretch) easily stash a thermos and sandwich. The top compartment adjusts based on your load and also includes an internal valuables pocket (where I always keep the keys!). Only complaint is there is no distinct helmet or goggles pocket, but I can easily go without in exchange for all the other features. My helmet easily fits into the main compartment and is easy to access when packed on the top. 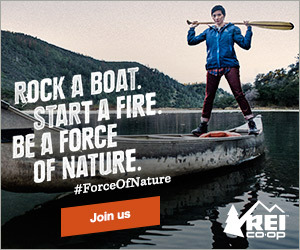 The Rise Pro also features ski and snowboard carry straps, ice axe loops, rope lashing points, and an optional helmet carry attachment. It is also hydration compatible for up a 3 liter bladder. 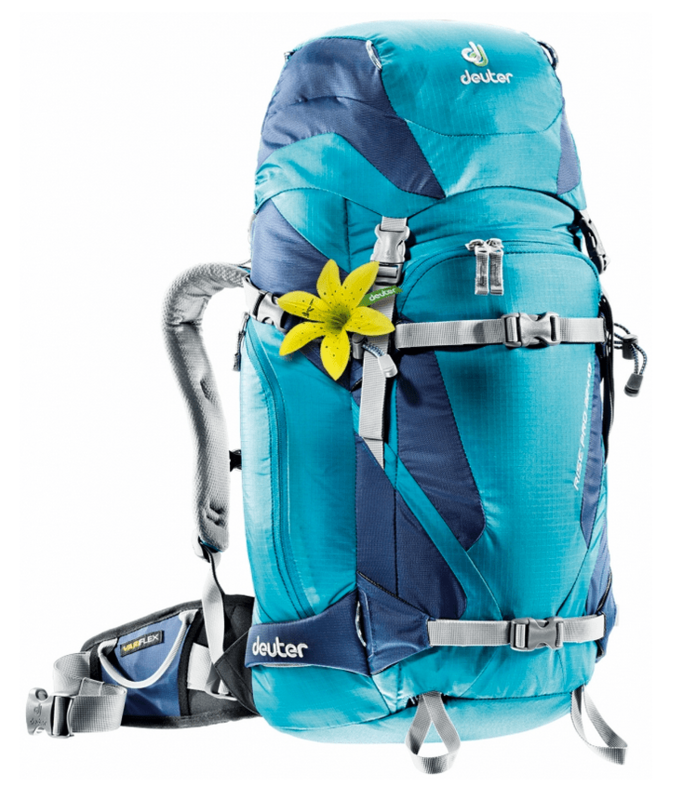 Pretty much everything you could need for an all day tour and it comes with Deuter’s signature flower! Available in several different sizes if you need more or less room.